That’s how Dr. Cindy Kempton of Bright Creek Dental felt when she realized one of the water sources in her dental office was not in compliance with standards set by the Center for Disease Control (CDC). Dr. Kempton was at an annual training when water safety was being discussed. During this training it became apparent Dr. Kempton may have water sources with higher than acceptable microbial counts. Dr. Kempton uses distilled water in her closed water system to protect her dental equipment from mineral deposits. Unlike municipal water there are currently no requirements for microbial testing this water, however it must still meet CDC safety standard. With the busy schedule of running a solo practice, figuring out how to get a closed water system in compliance with safety standards was an overwhelming task. Just like most dentists, Dr. Kempton’s first priority is the safety of her patients, but she didn’t know where to start. Immediately after Dr. Kempton realized she would need to test her closed water source, someone referred her to ProEdge because of our consultation services. When Dr. Kempton called ProEdge she was glad when Waterline Safety Specialist, Kellie Thimmes, answered the phone and offered insight and guidance. For the first time, Dr. Kempton said, someone was able to provide clarity on the standards set by the CDC, the purpose behind those standards, and the practical steps required to be in compliance. “ProEdge isn't just selling their product, they are helping you, the doctor - or the office - solve the failed test,” said Dr. Kempton. Coupled with this information, the assurance of knowing someone would be available to guide her through the process of testing, troubleshooting, and treating her water was a relief. When the testing kit arrived, Dr. Kempton was pleasantly surprised. “It was so simple and user-friendly." Enclosed with the kit were all the supplies required to test the water along with a checklist to ensure everything is done correctly. The process was mapped out with easy-to-understand instructions. 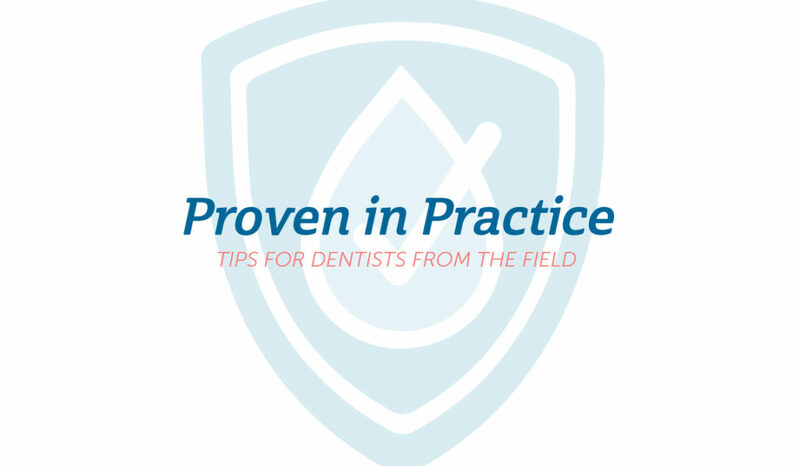 Not only was Dr. Kempton relieved to have managed her water supply problem, she enjoyed the peace of mind knowing that whenever she called ProEdge, Kellie would be familiar with the nuanced details related to her practice. Now, Dr. Kempton knows she has safe water. Testing isn't something she dreads anymore; in fact, it's something she looks forward to. “They solve the problem from start to finish," says Dr. Kempton.